This guest post was contributed by Benji Fenech Salerno. 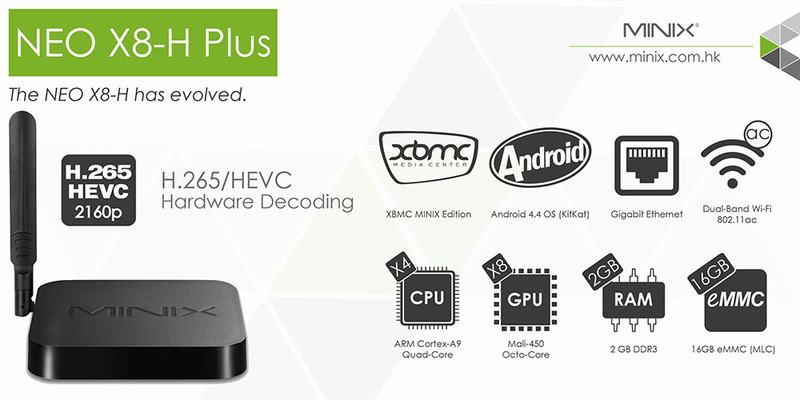 Minix has become renowned for its Android media hubs, and the NEO X8-H Plus is their latest flagship device. 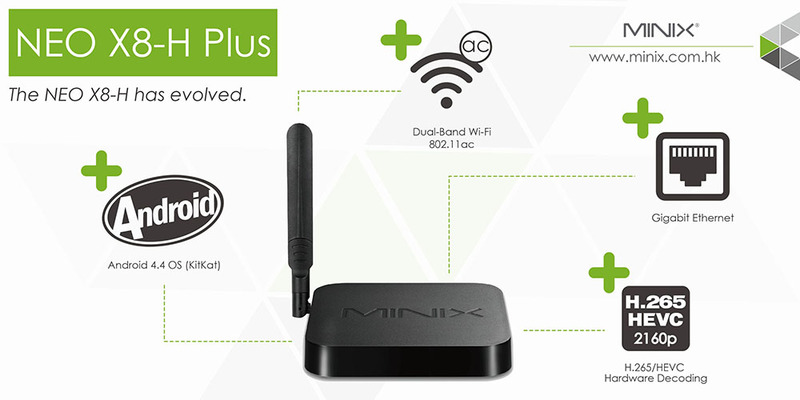 The device itself is very similar to many of Minix’s other media hubs such as the X8 plus and X7. It has a soft-plastic feel all around, which is pleasant in the hand, as well as aesthetically pleasing to the eye. The build feels sturdy in the hand (although I do not know how many times you will actually need to handle the device!) and there is fine attention to detail, which really makes you feel like you’re getting your value’s worth. The overwhelmingly evident feature of the device is the typical antenna which is around 13 – 14 cm in length. One would have to take that into account when planning on where to set up the device. 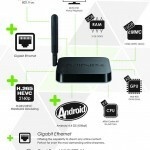 The device comes equipped with a power supply, an HDMI-HDMI cable (for connecting to your screen) and a USB on-the-go (OTG) to USB cable (for connecting the device to a computer as well as the usual Minix IR remote device). Differentiating from the rest of the products, the Minix X8-H plus also comes equipped with a NEO M1 air mouse which we shall look into further on. The media hub sprouts a variety of ports. Moving anti-clockwise from the power button, the media hub has a headphone port, microphone port, USB 2.0 port, an SD/MMC card reader, and a USB-OTG port on the right. On the back is the recovery button, an HDMI port, the optical/audio port, another 2 USB 2.0 ports, an Ethernet port, and power supply port. There is also an IR receiver for communication with the media hub’s remote. This device is flagship, and the specs back this up. It has a quad-core ARM Cortex A9r4 processor, complemented by an octa-core Mali-450 GPU and 2GB of DDR3 RAM. It also comes equipped with 16GB of internal storage. 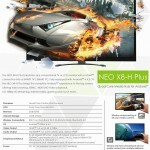 The XBMC media software makes the device a joy to use. 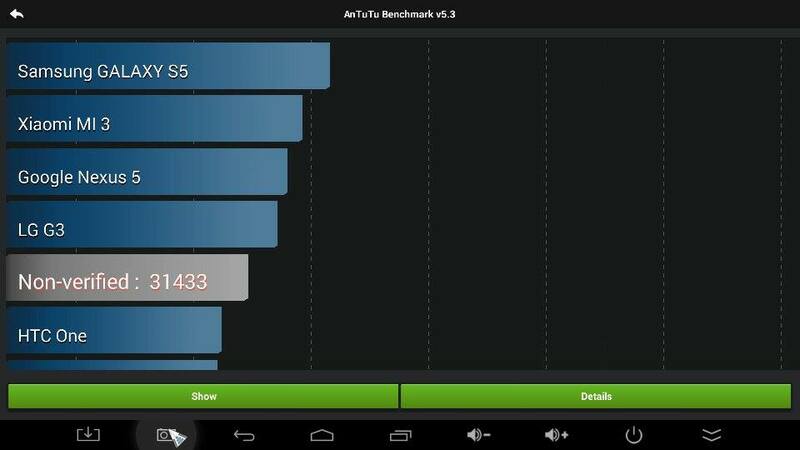 The device is well optimized for its use as at no time did it lag or stutter. Loading times for YouTube and web pages were slightly longer than they were on my ASUS J700 series laptop, however only by a second or two, which won’t really affect your day-to-day use. In terms of connectivity, the device can handle around 400Mbps over Wi-Fi and 1Gbps through Ethernet. Moving on to games, the experience was also very good. When using graphics-intensive apps, such as Beach Buggy Racing, the device held up well. To get the best of the Android hub, it is best to make use of an Android game controller. Although it is possible to play with the Neo M1 mouse on some games, it is quite difficult to do so and some games, such as Asphalt 8, do not work with the M1 mouse. If you are a huge Minix fan and want a complete ecosystem, you may not have to wait long, as I was informed that a Minix game controller is in the works! However, until then, if your main aim is to use it for aiming, make sure you invest in a game controller to make the very best use of the X8-H plus’s capabilities. The X8-H plus can also handle true 4K, which pushes it into a league of its own. This should also be an indication that for full-HD displays, the device won’t falter or be stressed whatsoever doing most tasks that can be forwarded to it. 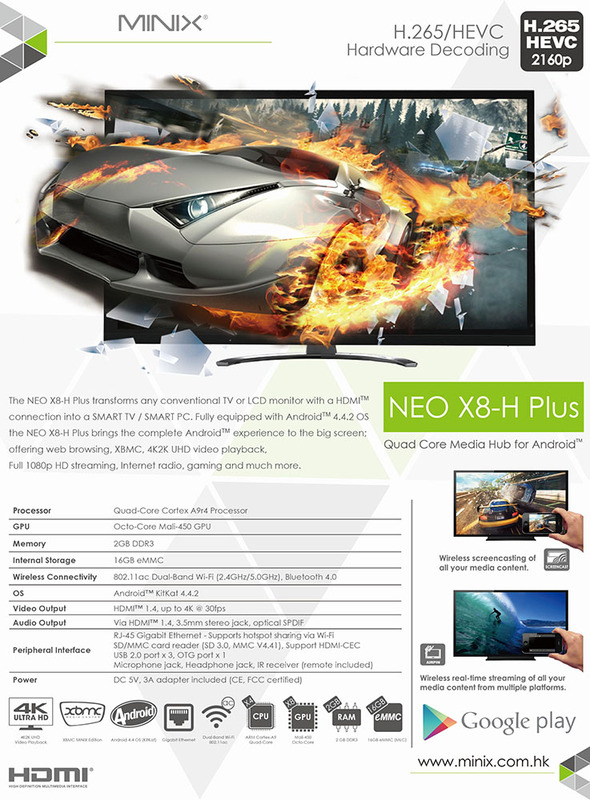 This Neo device comes pre-installed with Android 4.4.2 as well as the Google Play Store, which gives it access to the over 1 million applications. Most of the general utility applications work without a hitch and some are even better looking on a big screen than they are on that of a tablet or smartphone. 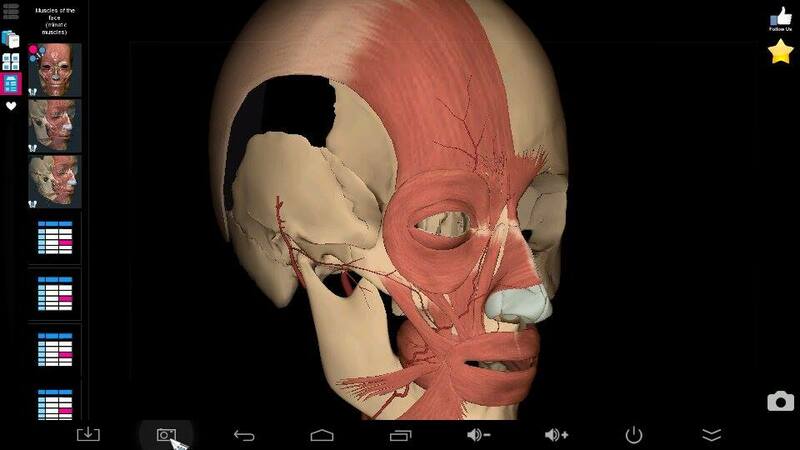 I particularly enjoyed using Spotify and Anatomy Learning 3D. The XMBC player is a beautiful custom interface which makes using the device so much better. 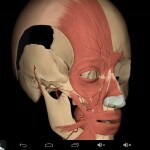 Although the regular standard Android UI can be used, the XMBC UI is much better to use. 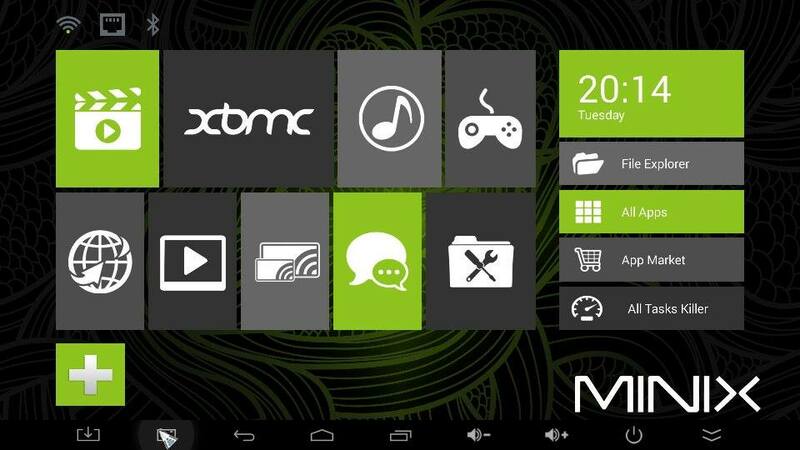 One must remember that whilst the Android system is primarily designed for touch use, the XMBC user interface is better optimized for large screens such as monitors and TV’s. 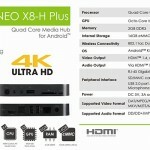 The Neo M1 is a very well-received addition to the media set. 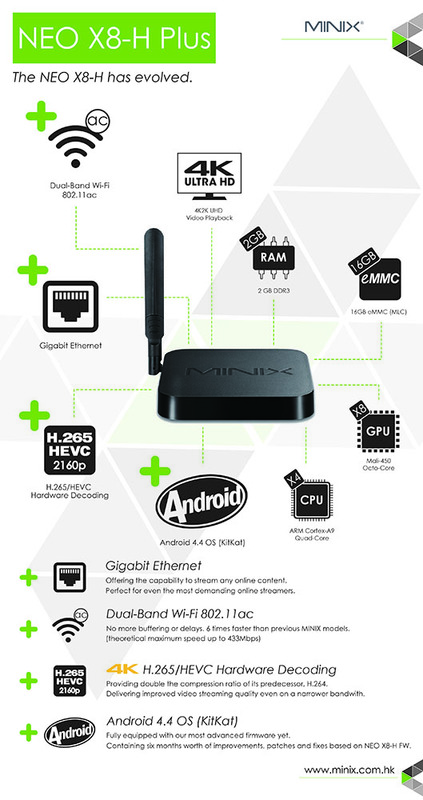 Typically, if one wanted a gyroscopic controller, the Minix A2 would be the natural choice to go for when using Minix devices. However, I have found the Neo M1 easier and much more pleasant to use. In terms of functionality, it does not offer any extra functionality, as it is an air mouse, which I’ve found very accurate in its use and comfortable in the hand. The fact that it comes with an internal rechargeable battery is something which I am very fond of. I have often wished that the other Minix Air mice came with easy-to=charge internal batteries, and it seems that Minix has granted me my wish. In terms of appearances, it’s a brushed surface black plastic with the very basic buttons one would expect to be needed for controlling the Android device. It also comes with a USB receiver which has to be plugged into the Android media player so as to operate. At the very bottom of the remote, there is a small sliding switch which is used to turn on and off the functionality of the M1. So what are my final thoughts? I think the Minix Neo X8-H Plus may be one of the best Android media players on the market today. When looking for these kinds of devices, one must consider the ability to access content in a fluid manner. This device does just that and as a result, a very good benchmark for Minix and its competitors to beat. 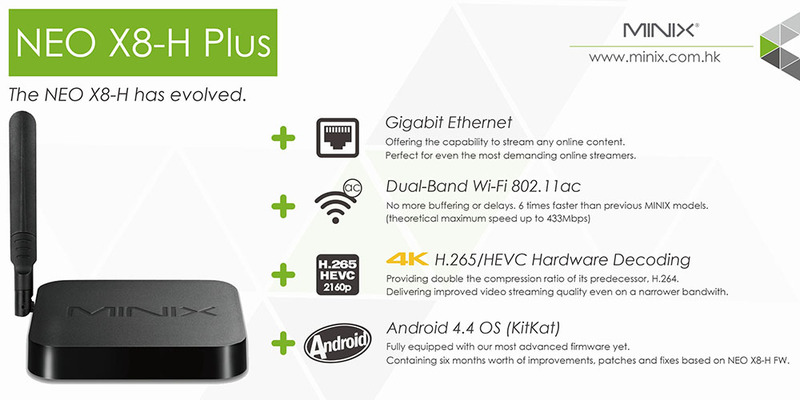 The X8-H plus can be picked up for €144 across the globe.